Early last Tuesday morning Indian Point Energy Center’s unit 2 nuclear power reactor was shut down to repair one of four pumps that supplies cooling water to the plant’s reactor. It has remained inoperative since then. “The pump failure at Indian Point, which forced the shutdown of one of the plant’s two reactors, yet again demonstrating the risks associated with continuing to operate this old, outdated plant,” said Gallay. Entergy, which owns the Buchanan-based Indian Point power plant, has released a statement that the plant will return to service when the maintenance work is complete, but no date has been given. The pump that needs to be repaired is located inside the containment building and, according to Entergy, there was no release of radioactivity and the Nuclear Regulatory Commission (NRC) was notified of the shutdown. Unit 2, which was built in 1974, operated for 230 continuous days prior to this shutdown. It was last shut down on May 20, 2011 for six days to replace three high voltage bushings on a main electrical transformer. On Nov. 10, 2010 the reactor was shut down after an explosion occurred in the main transformer. Unit 3, which was built in 1976, continues operating at full power and has been online for 278 continuous days since returning to service following a refueling shutdown in March 2011. Together the two reactors generate approximately 2,000 megawatts of electricity for homes, businesses and public facilities located primarily in New York City and Westchester County. Indian Point produces up to 30 percent of the region’s electricity. The reactors are in the midst of the relicensing process with the NRC. Unit 2’s license expires in 2013; unit 3 in 2015. Like other opponents of Indian Point, Gallay wants to the nuclear power plant to close and for alternative forms of energy to be used to fill the void. At the same public hearing that Gallay attended, a representative from Entergy spoke. Michael Twomey, who is the vice president for external affairs for Entergy, told the assembly members about Entergy’s safety record at Indian Point. According to Twomey, Entergy has invested $1 billion in upgrades to the Indian Point facility since purchasing it 10 years ago. “The capacity factor of the Indian Point facility – that is, the percentage of time the units are available to produce electricity – has increased substantially under Entergy’s ownership,” Twomey said. In April 2007, Entergy submitted a license renewal application for the Indian Point facility to the NRC. In Aug. 2011, the NRC issued a safety review finding on Indian Point and found it to be safe and supported the relicensing of the facility. 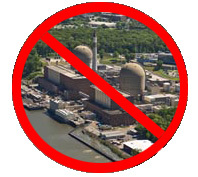 In the license renewal proceeding, there are 20 contentions raised by various parties such as Riverkeeper and New York State that will be the subject of hearings before the Atomic Safety and Licensing Board. The hearings are expected to begin in 2012. After resolution of the admitted contentions, the NRC may proceed with a final decision regarding whether to grant renewed licenses. Under federal law, because the application was submitted five years prior to the license end dates, Indian Point may continue to operate while the NRC proceeding is pending. There are 104 operating nuclear power plants in the United States. The NRC has no history of denying a relicensing application. GREENWICH -- Could the same nuclear crisis triggered by the March 11 earthquake and tsunami in Japan be repeated in southern Fairfield County? Edwin Lyman, an expert on nuclear plant design, said he thinks so. At a panel discussion Wednesday night at Town Hall, Lyman, a senior scientist in the Global Security Program for the Union of Concerned Scientists, said there is little truth to the claims that power plants like Indian Point in New York are designed better than the Fukushima Daiichi nuclear plant. After the 9.0-magnitude quake and subsequent tsunami, the cooling systems for the reactors at Fukushima failed, leading to radiation leaks. For example, Lyman said, after the terrorist attacks of Sept. 11, 2001, equipment was eventually required to protect the reactors in the event a plane crashed into them. That equipment, he said, wasn't designed to withstand an earthquake, which could affect multiple parts of the plant at once. "If you look at all the mechanisms the Japanese tried, and you look at what we have here, there's no advantage at this point," Lyman said. The discussion, presented by the League of Women Voters of Greenwich, comes as a battle is shaping up over the Nuclear Regulatory Commission's renewal of the license for Indian Point, located roughly 20 miles from Greenwich. James Steets, director of communications for Entergy Nuclear, which owns and operates Indian Point, defended the plant's safety in front of the few dozen people who filled the room. Steets said there is the potential for an earthquake in the area, but not of the magnitude that occurred in Japan. He also noted it wasn't the earthquake that affected Fukushima, but the fact that the massive tsunami took out electrical power to important safety equipment. "But that caused us to look at our capabilities again," Steets said. "We are designed for earthquakes 100 times greater than have ever been felt in the area. We are prepared for flooding twice the elevation of any flooding that has ever occurred near Indian Point." Phillip Musegaas, an Indian Point analyst for Riverkeeper, a clean water advocacy organization, and a lawyer representing Riverkeeper during the Indian Point license renewal process, said the plant has a history of safety problems. In the last 10 years, radioactive water has leaked into the Hudson River, and there have been two incidents when transformers exploded. Last year, according to reports, 600,000 gallons of radioactive steam escaped from the nuclear plant through an open valve and drifted into nearby neighborhoods. "The risk of running a variable facility that we feel hasn't been well maintained is a real risk," Musegaas said. Musegaas also addressed the issue of evacuating the densely populated area where Indian Point is located, with roads that are filled with traffic during a normal rush hour. He noted that Fukushima is located in a rural area, without millions of people located in small area, as is the case here. "The tsunami killed most of the people in the area," Musegaas said. "There were not a lot of people left to evacuate." Steets said he lives in the area, and knows what traffic is like, but believes Indian Point has a "responsible emergency response plan that can get information to people and get people out of harm's way." "I haven't seen a scenario, even observing what took place in Japan, that would prevent people from getting out of an area," he said. During the question-and-answer session, with people submitting questions written on index cards, someone asked about how Greenwich residents would be compensated for their real estate losses if a nuclear disaster struck. "The industry has insurance, which is a matter of law, for liability," Steets said, but he noted he didn't know the exact numbers. Lyman said he did know. Every reactor is required to carry a $200 million policy, and after an accident, every reactor has to put money into a pool of money totaling roughly $10 billion to cover claims for radiation exposure. "Fukushima's already well over that," Lyman said, "and that was an agricultural area." Japan Meltdown Has New-York Residents Asking "What If "
HELL'S KITCHEN — Anti-nuclear advocates want New Yorkers to know that a meltdown like the one that happened in Japan could happen here. Highlighting the meltdown crisis that happened at the Fukushima Daiichi plant in March this year, the Coalition Against Nukes will be holding a rally against nuclear power on Saturday at Hudson River Park's Pier 95. Activists say that among their biggest concerns are the nuclear reactors at Indian Point, just north of the city. Downtown residents expressed concern about the dangers posed by the plant earlier this year. The reactors are surrounded by one of the most densely populated areas in the country, with roughly 20 million people living within 50 miles of it. “Consider the economic consequences of a meltdown at Indian Point from an earthquake. New York, the world’s financial capital, could be rendered virtually uninhabitable,” said Dr. Helen Caldicott, co-founder of Physicians for Social Responsibility who will be a keynote speaker at the rally. The coalition said that New York is not as far away from a disaster like the one in Japan as people might think — last month, Hurricane Irene shut down power and transportation routes throughout the northeast. August's earthquake also showed that the city is not immune to fault lines. The rally, which is being held in conjunction with a dozen others across the country, will also feature environmentalists, watchdogs, and journalists from the New York and D.C. areas. The rally kicks off Saturday at 12 p.m. at Pier 95, which is at 55th Street and the West Side Highway. The Nuclear Regulatory Commission may force the nation’s nuclear power plants to reevaluate their earthquake detection and safety systems and the manner in which they calculate their resistance to earthquakes as a result of unexpected damage to American and foreign reactor complexes caused by recent earthquakes. 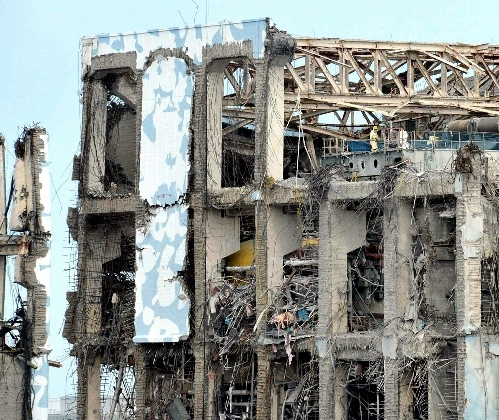 The agency has been studying the need to upgrade earthquake protections and evaluations since 2005, in partial recognition of the inadequacy of nuclear plant designs based on the fledgling science of seismology in the 1950s and early 1960s. But the extensive damage to the six-reactor Fukushima Daiichi nuclear complex in Japan, and unexpected damage to the twin North Anna nuclear power plants in Virginia caused by the August 23 earthquake has given new impetus to the NRC’s ongoing work. Though the damage to the North Anna Units 1 & 2, about 40 southeast of Richmond, are considered minor, the plants remain shut pending a special inspection ordered by Victor McCree, director of Region II, which encompasses southern nuclear operations and the construction of any new reactors anywhere in the country. All of the nation’s nuclear power plants, which were designed in the 1950s and 1960s, were supposed to be able to handle the acceleration of the ground motion and shaking associated with the largest historically recorded earthquake within a 50 mile radius of the site. For North Anna, a ground motion of .12 of normal gravity is the “design basis” incorporated into the plant’s license. That was based on an earthquake of a magnitude 4.8, and the plant was designed to withstand the gravitational tug resulting from an earthquake of 5.1 in magnitude. While the major safety and structural systems at North Anna are apparently undamaged, the transformer providing off site power failed, causing an immediate “station blackout” and shutdown. The plant’s diesel generators kept the reactors and spent fuel pools cool until off site power was restored. It had been thought that the massive concrete and steel dry casks would be impervious to any eastern earthquakes. In this case, said Hannah, none of the casks appear to have been breached. But on Thursday, the regulatory agency signaled its intention to issue a “generic letter” to all 104 nuclear power plants requesting a new evaluation of the manner in which earthquakes were analyzed and incorporated into their designs, and what steps, if any, may be needed to strengthen the plants and their support systems. A special inspection of all the nation’s nuclear plants after the meltdowns at the Fukushima Daiichi plants this spring discovered that while most plants should be able to withstand known levels of regional earthquakes, their support systems were not protected. In many cases, should an earthquake trigger a fire, the buildings on plant sites housing firefighting equipment, and the water mains from the municipal water systems were not designed to meet any earthquake standards and could be wrecked in a severe earthquake. In addition, all nuclear plants have miles of underground pipes and conduits – many of these encased in concrete and inaccessible to inspections. Virtually all of the ageing plants have leaked radioactive water into the surrounding environment, primarily through these underground systems, or deteriorated spent fuel pools. New York’s Indian Point plants have continuously leaked into what amounts to a radioactive lake under the plants, about 25 miles north of New York City, which is steadily seeping into the Hudson River. In New Jersey, the twin Salem nuclear plants in Lower Alloways Creek Township have leaked radioactive water into catch basins flowing into the Delaware River, and the Oyster Creek nuclear power plant, in Lacey Township, is still cleaning up a radioactive leak in 2002 that contaminated Barnegat Bay. The major problem with the earthquake-proof designs of current operating reactors is that the basis for their calculations was wrong. “All of these numbers were derived in the late 60s,” said Lyn Sykes, Higgins Professor Emeritus of Earth and Environmental Science at the Columbia University Lamont-Doherty Earth Observatory in New York. “At that time, they didn’t have recordings of earthquakes from the eastern and central part of the US, so they used western earthquakes as models. In that case, he said, the energy associated with last week’s 5.8-magnitude earthquake would be about five times the design basis for these nuclear facilities. As a percentage of gravitational forces, the design basis used in the construction is 0.15 G for Indian Point; 0.184 for Oyster Creek; and 0.20 for Hope Creek and Salem 1&2. The difference in their design requirements is based on the solidity of the rocks they are built on. Jon Armbruster a geophysicist at the Earth Institute and co-author with Sykes of an analysis of earthquakes over the last 300 years from Philadelphia to New York, “When they designed these plants, they chose an earthquake and the design basis figure represented how strongly the 1884 quake was felt in the area. There were two other quakes of that magnitude, in 1737 and 1783, and they were felt from Maine to Virginia and caused some chimneys to fall down. The 1884 quake also caused a railway embankment in Peekskill to slump into the river. In Virginia, the largest earthquake ever recorded was a magnitude 4.8. In the New York City area we have some 300 to 400-year histories and the largest earthquakes known were of a magnitude 5 or 5.3 I don’t think they have been allowing a large enough margin of uncertainty to have planned for a magnitude 5.8. When these five regional nuclear power plants were designed, Armbruster added, it was not known that earthquakes could be generated at shallow depths and designers utilized what little data was available from California and other western earthquakes in their planning. “The difference between a California quake and one here was not clearly known back then. Now it is known and quantified that the shaking around here is quite different. “The nuclear plants in southern New Jersey are not built on actual solid rock, though it is on pretty strong material. To an extent, that reduces the shaking. Each reactor design is different and has its peculiarities of design that need to be individually analyzed in a seismic hazard study. Jim Norville, a spokesman for Dominion, said the company’s engineers and the NRC inspectors are seeking greater understanding of the differences between East and West Coast earthquakes and its implications for the plants critical systems. So does the NRC. Spokeswoman Diane Screnci said the agency is seeking public comment on a proposed “generic Letter” to plant operators on a review of seismic hazards and design techniques. The response from the North Anna inspection and the generic latter may determine if the NRC mandates retrofitted improvements on existing critical buildings and systems. BUCHANAN, Westchester County — Gov. Andrew Cuomo raised the stakes on Indian Point's future recently by reiterating his opposition to the nuclear plant and its efforts to stay open through 2035. Whether he can move the mountains he did to get a gay-marriage bill passed and a state budget done on time remains to be seen, experts say. "Under the current regulations, it's much more difficult now for states to have direct authority over any part of nuclear plants," said Phillip Musegaas, a policy analyst and attorney for Riverkeeper, which is working with Cuomo and New York state officials to block Indian Point's receiving a 20-year license extension from the Nuclear Regulatory Commission. "State governors used to have more authority over evacuation planning but that ... authority now pretty much rests with (the Federal Emergency Management Agency) and the NRC," he said. During Cuomo's visit Thursday to Westchester to trumpet the state's brand-new property-tax cap, he said replacing the plant's 2,000 megawatts of electricity can't outweigh safety concerns. "I have been against the operation of Indian Point for a long, long time," Cuomo said in response to reporters' questions that focused on everything from a crumbling Tappan Zee Bridge to the governor's possible run for the White House. A week or so earlier, his top aides told plant officials face-to-face that the state wants nothing short of a complete shutdown of the nuclear plant. "I always thought it was an unnecessary risk," Cuomo said. "I'm not against nuclear power but I am against nuclear power in this plant, in this location, with this (population) density. We need to find replacement power for Indian Point, but we have to commit to the closing." The state is looking, for instance, at a 1,000 megawatt transmission cable from Quebec to New York City, with the idea of burying the high-voltage direct-current line in the bed of the Hudson River and connecting it to the state's grid. Cuomo said after the passage of a new state law overseeing the development of new energy plants, it will be easier to attract companies that can create electricity with less impact on the environment and with fewer safety concerns. The Japanese nuclear crisis has brought industry safety into greater relief in the three-plus months since an earthquake and tsunami knocked the Fukushima Daiichi plant offline and sent radiation heading to the skies and surrounding waters. The NRC is tasked by Congress with overseeing the 104 commercial nuclear plants in the United States and experts say states' abilities to control a plant's operations are limited, with the courts siding in large measure with federal oversight. Ellen Ginsberg, vice president and general counsel for the industry's Nuclear Energy Institute, said the Supreme Court ruled in 1983 that the federal government covers the nuclear public safety field so completely that states can't step in with their own regulations for that area, which she added is quite broad. "We think the Supreme Court got it right," Ginsberg said. States already have a way to inject themselves into the issue of a plant's operation — the NRC's license renewal process. Cuomo and other opponents of the nuclear plant have jumped into that forum in unprecedented numbers and are now making Indian Point's relicensing the most challenged in the nation's history. But so far no nuclear plant has been turned down for a 20-year license extention, with 70 reactors approved, so the odds of blocking the application tilt heavily toward the industry. The trump card the state holds, however, is its permitting authority for the nuclear plant's use of Hudson River water to cool its operation; it controls Indian Point's right to dump into the Hudson and, under the Clean Water Act, acts as the protector of the river's ecosystem. "Those are two approvals that Indian Point has to have before we can proceed to a license renewal approval," NRC spokesman Neil Sheehan said. So far, the state is holding fast on the plant's water use, basically telling Entergy Nuclear, Indian Point's owners, that the company must build cooling towers to cut water use by 95 percent. Entergy is fighting that and company officials said they will continue to make their case to Gov. Cuomo that the plant is safe and necessary for the region's electricity. "Based on New York state's need for clean, reliable and lower-priced power, we expect the plants to be relicensed," Indian Point spokesman Jim Steets said. Indian Point Evacuation Plan For 450,000 In 10 Mile Radius 195,365 Vehicles In 9.5 Hours ?? The Federal Emergency Management Agency tests the Indian Point evacuation plan every two years in a variety of complex scenarios. Plams for evacuation of the 450,000 people who live and work within 10 miles of Indian Point fill volumes. They anticipate dozens of horrific scenarios and hone them depending on the season, day of the week, time of day, weather and wind direction. They factor in situations triggered by special events. The biggest evacuation nightmare: An autumn weekend at midday with a West Point football game and the wind blowing from the southeast. An estimated 195,365 vehicles would be on the roads if the entire 10-mile radius was evacuated, and traffic flow for every major route has been planned to the last intersection. To evacuate all 450,000 people who live and work within a 10-mile radius of Indian Point would take 9-1/2 hours. The Federal Emergency Management Agency tests the evacuation plan every two years, drilling government officials, first-responders, school teachers and hospitals in a variety of complex scenarios.The most recent test, last June, revealed slips that could lead to evacuation chaos and medical breakdowns. Examples included a mixup between state and county leaders that would have "led to general confusion," mistakes in critical information given to the media, and thousands of expired packets of anti-radiation medicine at a reception center. After a 2009 counterterrorism drill, the feds concluded that "standard public notification procedures did not suit" a worst-case scenario in which terrorists take control of the plant. Rockland County Executive Scott Vanderhoef put it this way: "I have complete faith in our first-responders. But even with the best plans something can go wrong. The area is too densely populated for a nuclear plant. Indian Point should be closed." Spread of Radiation in Japan Fuels Questions About Evacuation Plans in U.S. Dangerous levels of radiation found some 25 miles from Japan's damaged nuclear facility raise questions about U.S. emergency-response plans that call for evacuating residents only within a 10-mile radius of such a disaster here. 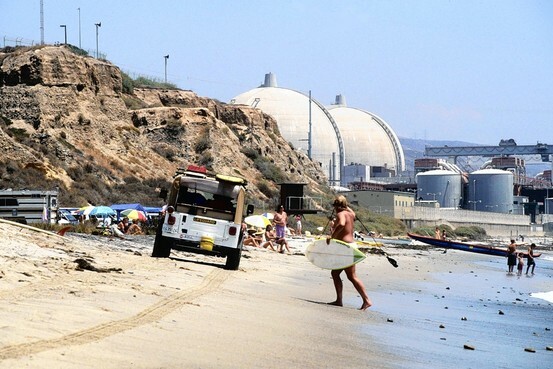 lifeguard patrols near the San Onofre nuclear plant in California. The facility is 45 miles southeast of Long Beach, Calif.
Just one of the U.S.'s 104 commercial nuclear reactors is within 10 miles of a densely populated city—the Three Mile Island facility near Harrisburg, Pa. But 29 are within 25 miles of such metropolitan areas. And almost half of the nuclear reactors in the U.S. are within 50 miles of a metropolitan area with more than 500,000 people. Fifty miles was the evacuation zone recommended last week by the U.S. Nuclear Regulatory Commission for Americans near Japan's Fukushima Daiichi plant. That was far beyond the 12-mile evacuation zone Japanese officials had advised. The U.S. advisory set off a measure of panic in Japan and prompted world-wide discussion about whether officials there were taking proper precautions. The recommendation for Americans in Japan takes into account circumstances that wouldn't necessarily apply in the U.S., such as the U.S. government's limited ability to help its citizens abroad, said Michael Golay, a nuclear science professor at the Massachusetts Institute of Technology. The NRC didn't respond to requests for comment. Mr. Golay said he doubted that it would be possible to evacuate a 50-mile radius in and around an urban area in the U.S.. "We're certainly not prepared for it," he said. The Senate Committee on Environment and Public Works is planning a hearing in mid-April on safety issues related to nuclear plants, including emergency preparedness. Concerns over evacuation plans have come up before. A nuclear plant on New York's Long Island was scrapped in 1989 over concerns that it would be impossible to evacuate the area. The NRC is responding to concerned local and state officials about whether events in Japan have changed assumptions about plant safety, including the 10-mile evacuation zone, which is based on a 1978 federal report on the dangers of a meltdown. Robert P. Astorino, the top elected official in New York's Westchester County, sent a letter to an NRC official Friday seeking clarification on what the commission's recommendation for a 50-mile evacuation in Japan meant for his community, home to two nuclear reactors at the Indian Point Energy Center. About 20 million people live within 50 miles of Indian Point, which is 35 miles from Midtown Manhattan. In a conference call Monday, the NRC assured Mr. Astorino the 10-mile emergency zone surrounding the plant was sufficient, but said federal officials continued to review whether changes were warranted, said Ned McCormack, a Westchester County spokesman. The NRC and the Environmental Protection Agency said late Tuesday that a plume of radiation stretching 25 miles northwest of the Fukushima Daiichi plant would have exposed people to more radiation in an hour than a chest X-ray. Experts say that a level of radiation greater than a chest X-ray every hour, when sustained for three days, is dangerous. Jim Steets, a spokesman for Entergy Corp., which operates Indian Point, said he believed it would be possible to evacuate beyond a 10-mile radius if necessary, but that the plant's current plan doesn't address that possibility. The company might revisit the matter, he said. On Tuesday, New York Gov. Andrew Cuomo said the NRC had pledged to make Indian Point its "first and top priority" in a review of seismic risk at 27 nuclear plants across the U.S.
After the Three Mile Island partial meltdown in 1979—the worst nuclear incident in U.S. history and the only to prompt an evacuation—the official evacuation was aimed only at 3,400 pregnant women and children, said Don Zeigler, a geography professor at Old Dominion University. But some 144,000 people in a 40-mile radius fled, in what is known as a "shadow evacuation." A shadow evacuation is one of the factors officials at the San Onofre Nuclear Generating Station, 45 miles southeast of Long Beach, Calif., consider in their emergency plans, said Sara Kaminske, chairwoman of a planning committee there. "Our job as emergency managers is to get people out of harm's way," said Ms. Kaminske. In an evacuation, she said, sheriff's deputies would set up barricades at pre-established highway entry points to control traffic, then officials would sound sirens and alert residents by phone, email and text messages. Governor Cuomo Indian Point "Too Big A Risk To Remain Open"
There’s no magic number, of course. Is it perilous at 10 miles away, but not 11? Is there an evacuation zone that would be a one-size-fits-all plan for any nuclear disaster? You don’t need a physics degree to answer those questions. But we do know that American officials have told citizens of the United States to stay at least 50 miles away from the Fukushima Daiichi Nuclear Power Station in Japan as the nuclear crisis continues. In the case of a comparable disaster here, this is what a 50-mile circle around the Indian Point nuclear plant on the Hudson River in Westchester County would look like: past Kingston in Ulster County to the north; past Bayonne and Elizabeth, N.J., to the south; almost to New Haven in the east; and into Pennsylvania to the west. It includes almost all of New York City except for Staten Island; almost all of Nassau County and much of Suffolk; all of Bergen County, N.J.; all of Fairfield, Conn. Try evacuating that on short — or long — notice. “Many scholars have already argued that any evacuation plans shouldn’t be called plans, but rather ‘fantasy documents,’ ” Daniel P. Aldrich, a professor of political science at Purdue University and the author of “Site Fights: Divisive Facilities and Civil Society in Japan and the West,” said in an e-mail. They are often bureaucratic documents meant to meet policy requirements, not to work in the real world, he added. FANTASY or not, the nuclear accident in Japan is putting renewed attention on exactly how to protect or evacuate the population around Indian Point, 35 miles from Midtown Manhattan in the most populous part of the country, with population of almost 20 million people in the metropolitan region. And in the end, the future of Indian Point, which is facing renewed calls that it be shut down, is not a referendum on nuclear power. It’s aquestion of whether this nuclear plant at this site makes sense. Of course, there’s no universal standard for evacuations, and no simple template for people’s personal comfort zones. France gets 80 percent of its electricity from nuclear power, and the disaster in Japan does not seem to have created a huge backlash against nuclear power there. But it has renewed questions about Indian Point’s safety — whether from an earthquake, a terrorist attack, another natural disaster like a hurricane and resulting storm surges, or something as unanticipated as the hijacked plane that flew over it on Sept. 11, 2001. Indian Point’s evacuation plans focus on a 10-mile ring populated by about 300,000 people. Twenty miles out, roughly the area of highest concern identified by Japanese authorities, includes almost a million people. A 50-mile evacuation plan does not exist and is hard to imagine. The most in-depth analysis of the evacuation planning for Indian Point was a 256-page report commissioned by Gov. George E. Pataki and completed in 2003 by a firm headed by James Lee Witt, former director of the Federal Emergency Management Agency. It concluded that the plans were drafted to comply with regulations rather than to create an effective strategy to protect the population, and that they assumed people would comply with government directives rather than do what seemed to be in their own best interests. Jim Steets, a spokesman for Indian Point, said evacuation and emergency preparedness planning was being constantly refined and that the nuclear industry expected to adapt and to learn lessons from the disaster in Japan. “You have a nuclear industry that prides itself on learning lessons,” he said. 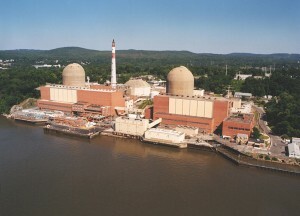 Both Entergy, which owns Indian Point, and Steven Chu, the federal secretary of energy, have announced reviews of the plant in response to the disaster in Japan. But asked repeatedly whether the government’s 50-mile zone could possibly be observed in the event of a comparable event here, Mr. Steets declined to answer. “I don’t think you can automatically say you would have the same situation or you could extrapolate from one situation to the other,” he said. No operating American plant has ever been shut down because of the lack of an acceptable evacuation plan. But you don’t have to look far to find how critical the issue can be: The Shoreham nuclear plant on Long Island was completed and then shut down without producing any commercial electric power after representatives of Mario M. Cuomo, then the governor of New York, declined to certify its evacuation plan. Last week, another Governor Cuomo called Indian Point too big a risk to remain open. The Nuclear Regulatory Commission recently provided MSNBCwith an updated list of the American plants most at risk of core damage (which can lead to meltdowns and radiation release) in the event of an earthquake. What parts of the country are most at risk? You may be surprised. ndian Point, located in Buchanan, N.Y., has the highest risk of core damage in the event of an earthquake, according to NRC estimates reported by MSNBC. At a 1 in 10,000 chance of core breach, that's right on the verge of what the NRC calls "immediate concern regarding adequate protection."